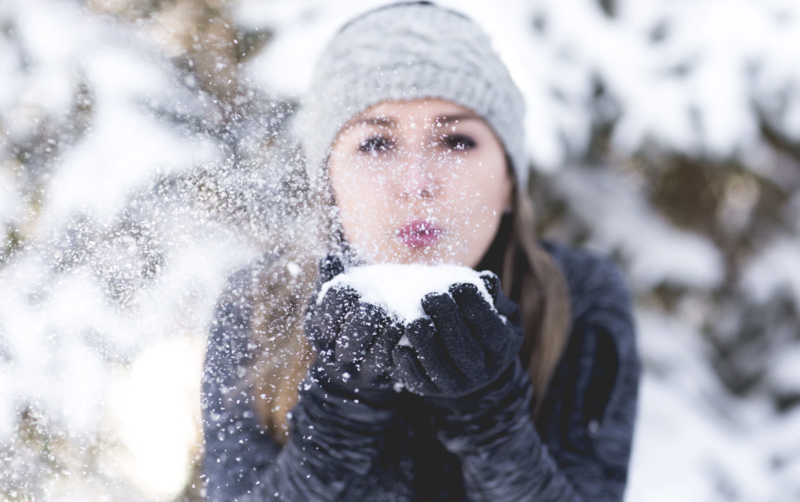 During the winter months, caring for your skin is more important than ever. Central heating and frequent changes in temperature can dry skin out, leaving it feeling cracked and dehydrated. This week, we're looking at simple ways to keep your skin looking and feeling its best over the cold months. While super hot baths can make your skin even more dehydrated, taking a long soak in a warm tub filled with your favourite bath oil does wonders for putting essential moisture back into your skin. Try our luxurious Bath & Body Oil enriched with naturally hydrating sweet almond, Kalahari melon and African Baobab tree oils to plump and hydrate the skin. Over exfoliating can leave skin even more dryer and strip away important oils. Ditch your usual body scrubs in favour of something that will help nourish your skin and protect it against dryness and cracking. Try combining our Soaking Salts with a drop of Bath & Body Oil to create a more hydrating scrub that will leave skin smooth and silky soft. It's easy for hands to become chapped and sore during the winter months, so try to make a conscious effort to use hand cream regularly. Slipping a little tube of your favourite hand cream into your handbag is a great way of getting into the habit of regularly applying it throughout the day. Or invest in some cotton gloves and treat your hands to a rich overnight treatment with your favourite cream, preferably one that's enriched with nourishing oils like coconut and avocado, like our Hand Cream. At night try to get into the habit of applying a thicker Body Butter or moisturising cream, paying particular attention to your arms, elbows and legs. Getting into this routine will help keep your skin soft and hydrated, by giving it an extra boost at night time that will help protect it from cracking and becoming dry or sore. When it's warm outside, it's so much easier to remember to drink water. But it's even more important that when the elements are drying out your skin, you remember to keep drinking plenty of water. In winter, we're more likely to reach for richer drinks like hot chocolates, but opting for a healthier alternative like a tumeric latte or green tea will you give a little boost of antioxidants that will help your boost your immune system.